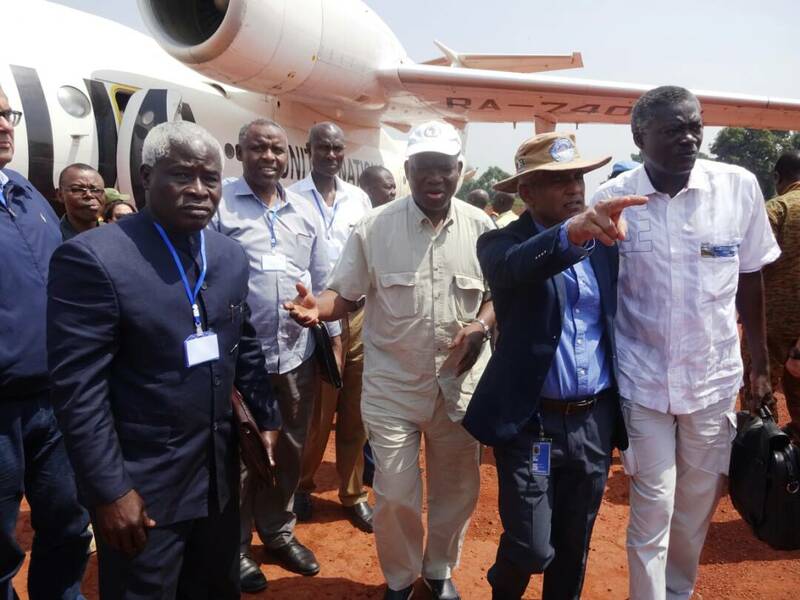 Bangui, 7 March 2018: The Peace and Security Council of the African Union, during the joint field mission in the CAR with the European Union Political and Security Committee, on 7 March 2018, visited Bria, to express AU solidarity with the people and the authority of the city, in particular the internally displaced persons (IDPs). 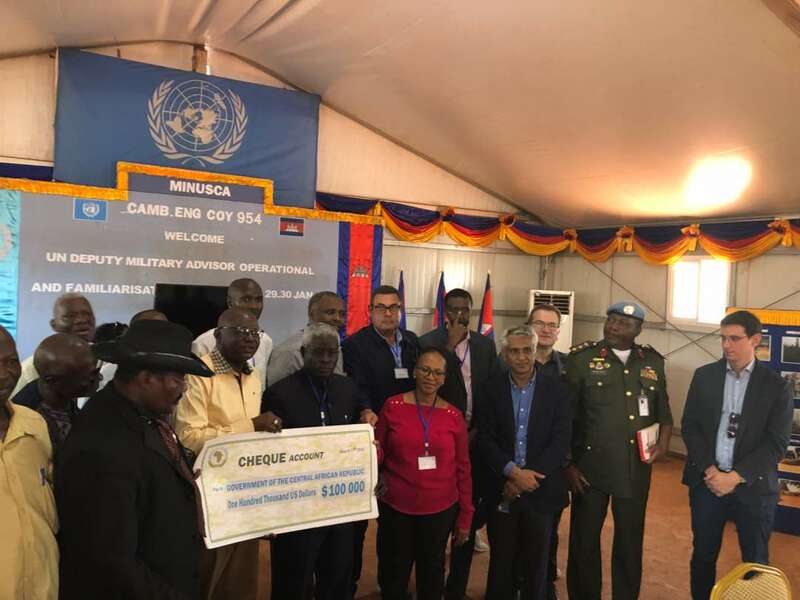 The PSC visited an IDPs camp and interacted with the local authorities and the representatives of the IDPs, as well as with the representatives of the United Nations multidimensional integrated Mission for stabilization in CAR (MINUSCA) on the humanitarian situation in the camp, as well as the security situation in Bria. 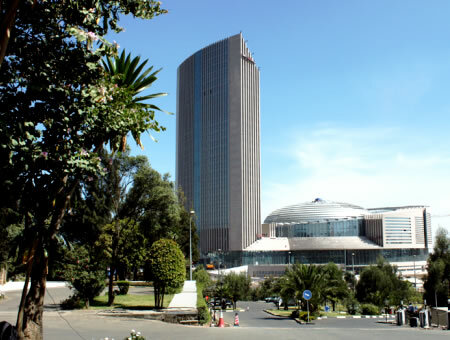 The Chairperson of the PSC for the month of March 2018, Ambassador Zakariaou Adam Maïga, Permanent Representative of the Republic of Niger to the AU, ensured the authorities and people of Bria of the heartfelt solidarity of the AU and its leadership, as well as the determination of the PSC to help the Central African actors to find a lasting solution to the conflict in their country, within the African initiative for peace and reconciliation, with the support of the countries of the region. 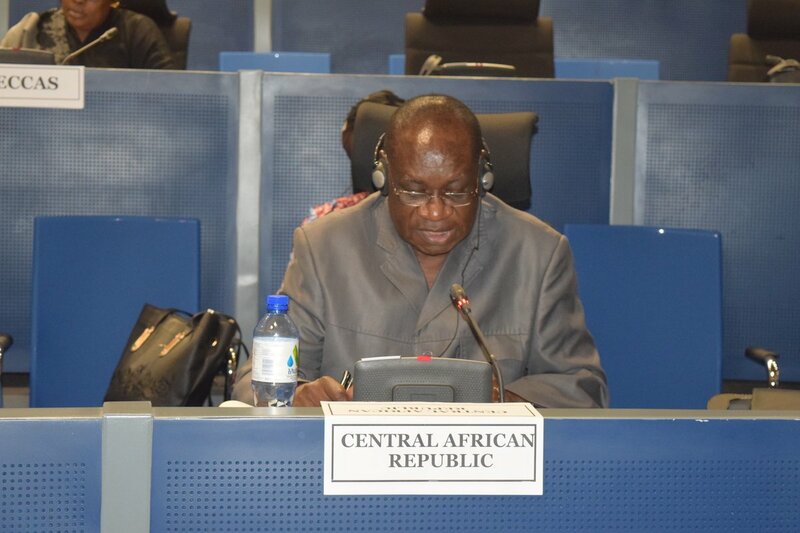 On behalf of the AU and in presence of the Chairperson of the PRC subcommittee on Refugees and IDPs, H.E. Dr. Mohamed Ali-Nur Hagi, Permanent representative of Somalia to the AU, the Chairperson of the PSC handed over a cheque of 100,000 US dollars to the Prefect of Haute Koto region, as a symbolic support to relief the populations of Bria to support of the Government of the CAR in its efforts aimed at alleviating the humanitarian situation in the country.